There are many benefits that solar power can provide to nonprofits above and beyond its obvious environmentally friendly aspects. Solar power can provide nonprofits with energy security (if not outright energy independence), it can help generate a substantial return on the initial investment, and it can even help generate positive PR and boost your bottom line. Energy rates around the country have been increasing drastically in recent years. In California alone electricity rates have risen nearly seven percent per year, compounded annually. Few experts believe that these rate increases will slow down anytime soon, so it’s imperative for nonprofits of all kinds to seek a way to provide themselves with some stability for the coming years. Sunshine is free and abundant, and best of all renewable. Once you’ve installed a solar power system you will be producing your own energy independent of rising volatile energy costs. Installing a solar power system is essentially the same as paying ahead for the next three decades of energy for your nonprofit. The ROI from solar power stems from the previously mentioned savings on future energy bills. Many organizations see after-tax returns on their solar investments of between 10-18 percent. Usually, the upfront costs of a solar power installation is recouped within 4-7 years. This means that you can continue enjoying the benefits of your solar power installation long after you’ve already paid it off. Even nonprofits need positive PR, and going green is an excellent boost to your reputation. The decision to install a solar power system will undoubtedly attract the right kind of attention, and it will hopefully encourage your member base to become even more engaged. Going green is the hot topic right now, and it’s a good idea to take advantage of the swell of environmental consciousness while you still can. 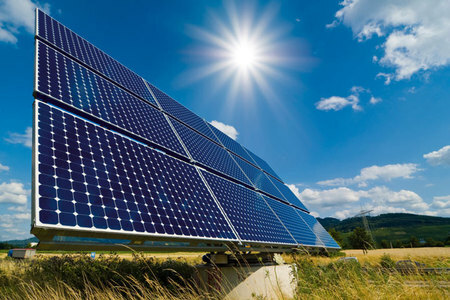 On top of all of these excellent benefits, there’s one more aspect of solar power that makes it special. When you use solar power you are decreasing the amount of energy that has to be produced using traditional, less environmentally friendly means. By using solar energy you’re actually helping to keep the Earth a little cleaner and a little healthier every single day. Learn more about how CollectiveSun can help your organization utilize the myriad benefits of solar power – contact us today. We’d love to work with you!